So did you hear? 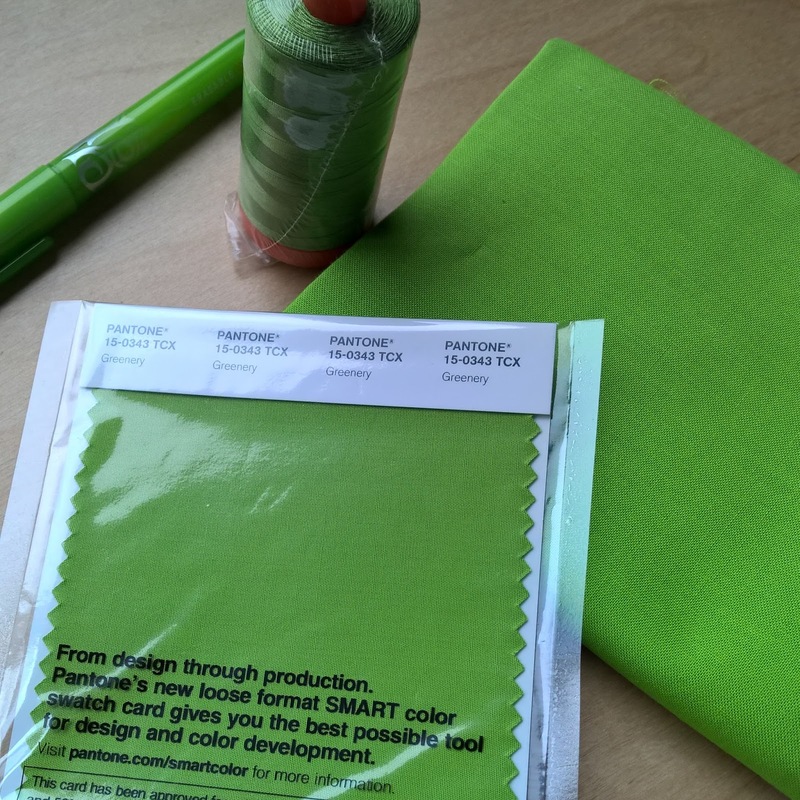 Rebecca/Bryan House Quilts and Sarah/No Hats in the House are spear-heading the 2017 Pantone Quilt Challenge featuring the Color of the Year, Greenery! Part of the gift was an official Greenery swatch card, which helped her determine Kona Parrot as a close match, along with Aurifil 1114 (Grass Green), so that's where I'll be starting. I honestly have no ideas yet, but time doesn't need to be too rushed. The challenge runs from March 14 until May 29, 2017, with a link party open during the last ten days. Do check out Sarah or Rebecca's announcement posts for all the details. There are esteemed judges, enviable prizes, and all the key details there, including other suggestions of fabric choices, though nothing really needs to be that perfectly matched, so no worries there. thinking about it.... I do love the color. 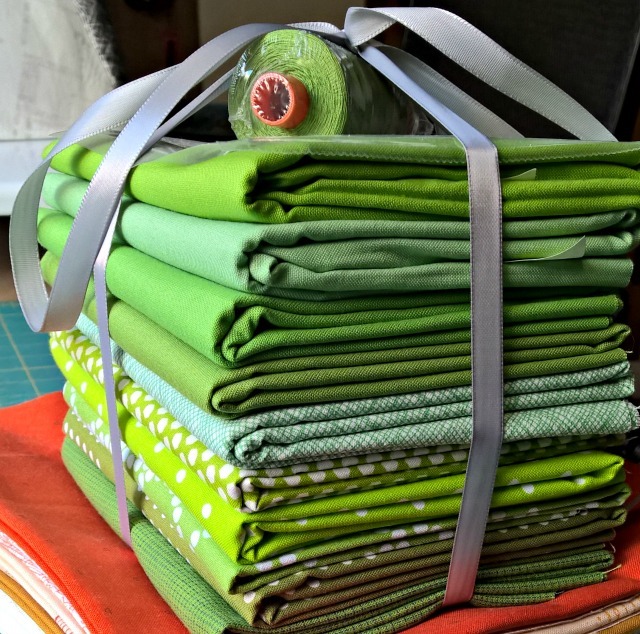 I know our guild is doing a challenge but they aren't announcing it yet, might have to do 2 greenery quilts this year! I have tons of ideas and no time but hopefully will carve out just enough to participate. I'm looking forward to seeing what you'll create for this challenge! Looking forward your new project.Beautiful fabric combo! I really need some greens! I'm hoping to do this too! Green isn't a color I normally go with (marsala wasn't either!) Now to find out if I have a green in my stash that is close to the Pantone color...better start thinking now! Try and stop me! I have one of the suggested charm packs winging its way to me now. Can't wait to see what you come up with! What Shade Am I, You Ask?